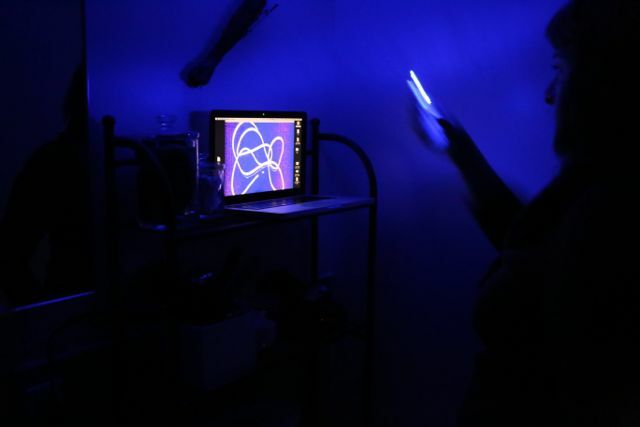 The App, which can run on Mac computers right now, allows people to see the trails of their light painting in real time. It is an interactive tool or game what allows full body drawing to the screen.In my next prototype I will add in screen capture ability. 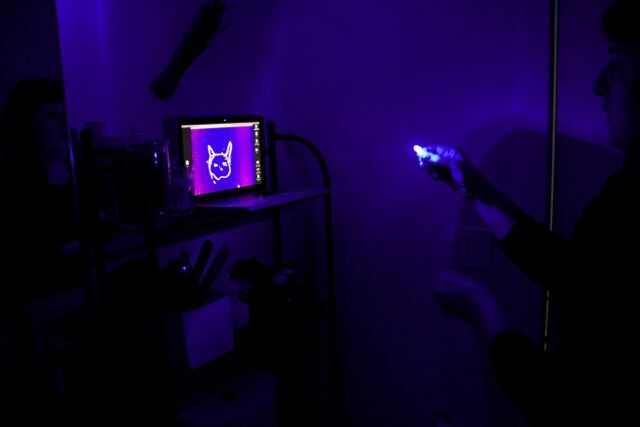 I have tested the app with users as a tool to aid in light painting that is then captured by a camera. I have also tested with users as a game itself. Because it mirrors the drawings of users, it allows them to spell out words and created images as if drawing on a paper. It makes intuitive sense an aids in understanding of their bodies in 3D space.